HOLY GRAIL TIME! 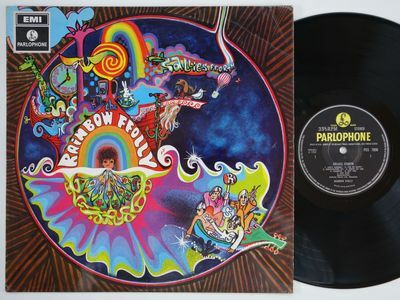 Here you have the ULTRA RARE massively in-demand original UK stereo issue of this epic psych LP from 1968. Has got 1/R and 1/R "mother" and "stamper" codes. I have included about one minute from each track on the LP in the soundclip below recorded directly from the LP up for grabs without any sound altering. It is in superb condition and plays with astonishing fidelity. Have a listen below! Lovely looking "patents pending" sleeve with laminated front printed by Garrod & Lofthouse. Comes with its original "patents applied for" inner sleeve as well. Don't forget to check out this week.